Natural spectacle. 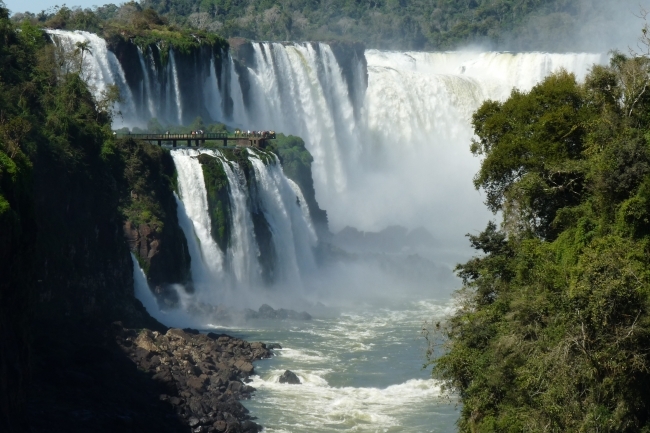 Humanity Heritage, the Iguazú Falls with its basalto's heart (stone of the region), and one of the most beautiful waterfalls of the world sorrounded by the exuberant rainforest. Day1: Transfer from Airport to Hotel. Tour to de Brazilian side of the Falls. Day3: Check out and transfer from Hotel to Airport.